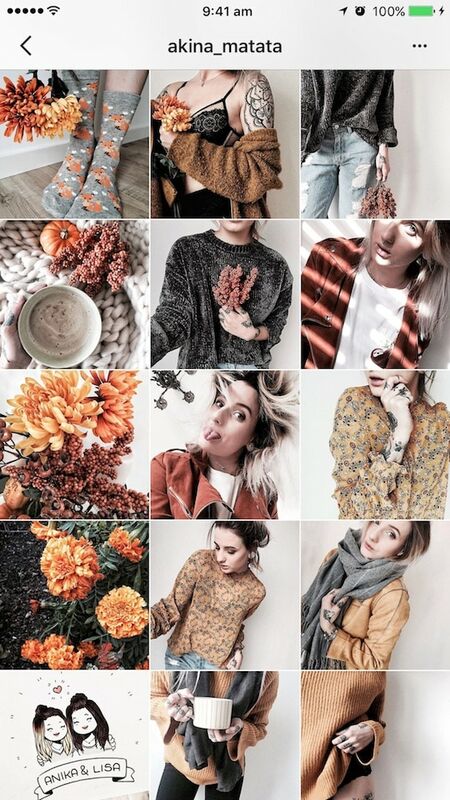 Time to get your fall Instagram theme going! Bring out all your pumpkins, coffees (or tea or hot chocolate), leaves, candles, blankets and all that fun cosy stuff. Need some inspiration? 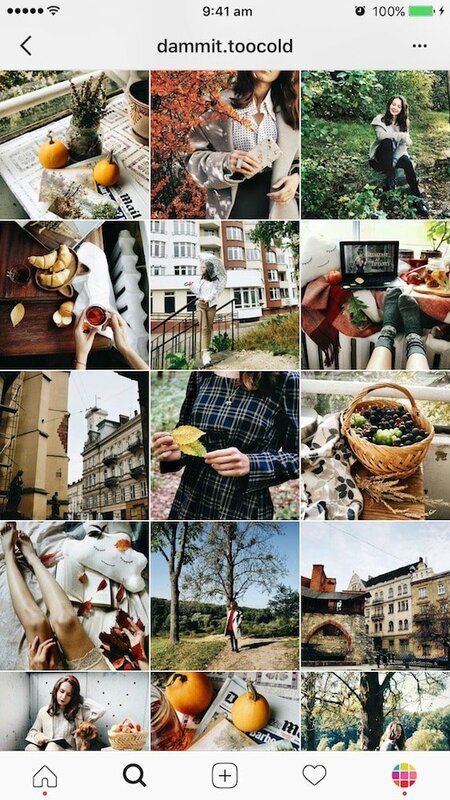 Don’t know what filters to use to make an autumn feed? I’ve got you covered! 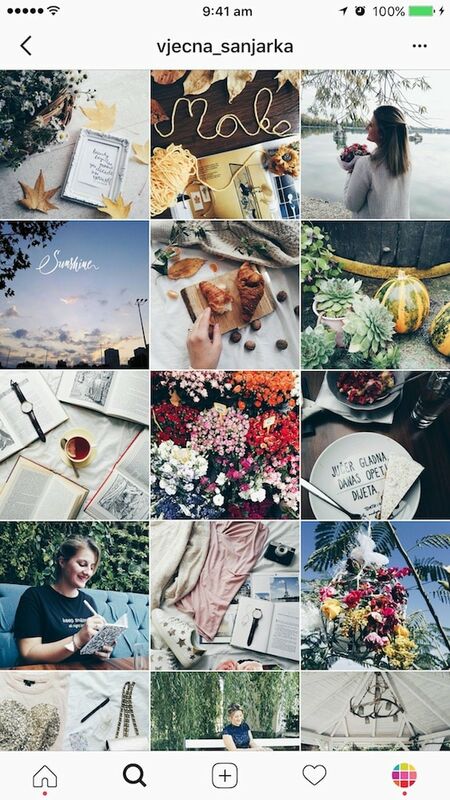 Here are beautiful accounts to inspire you. All of them are from some of our amazing Preview App lovers. 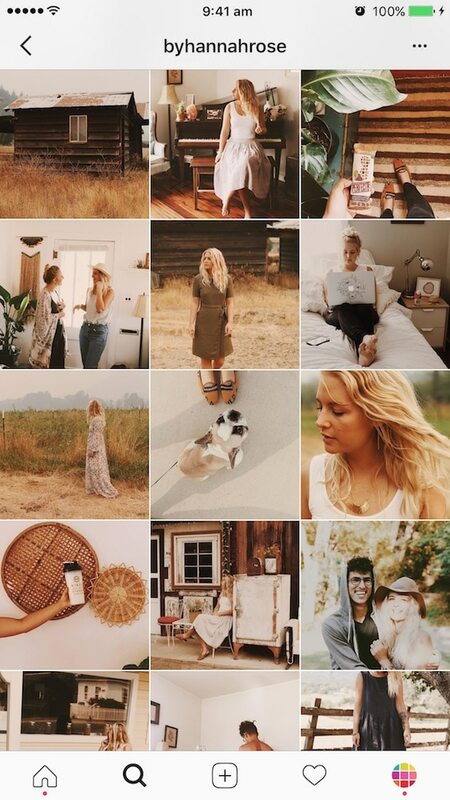 So many of you have transitioned to a fall Instagram feed. 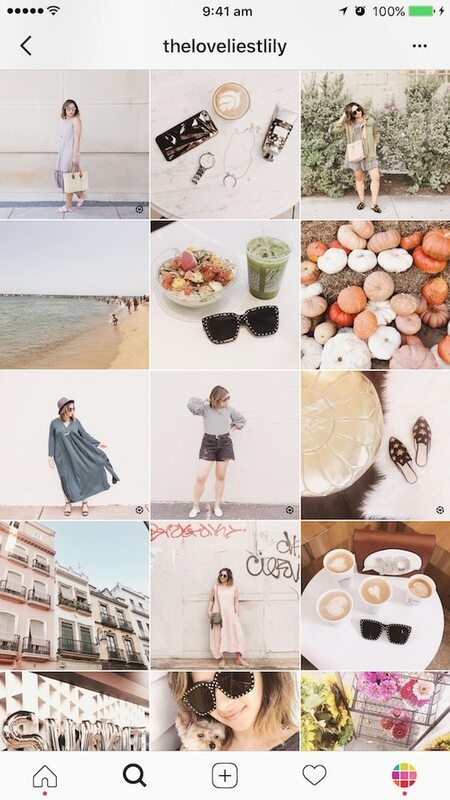 Thank you for sharing your feed with all of us! Big shoutout to you guys! When we think about autumn, we automatically think about pumpkin + fallen leaves = orange. 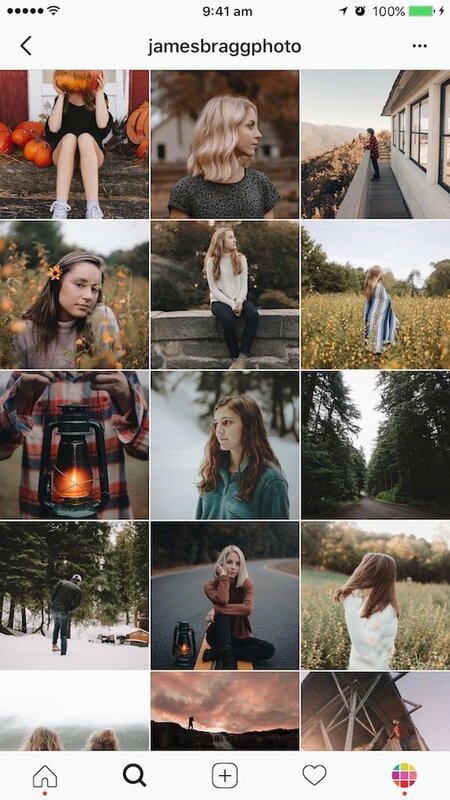 So the first fall theme idea is to embrace these beautiful orange tones. You can use any photos with these filters. 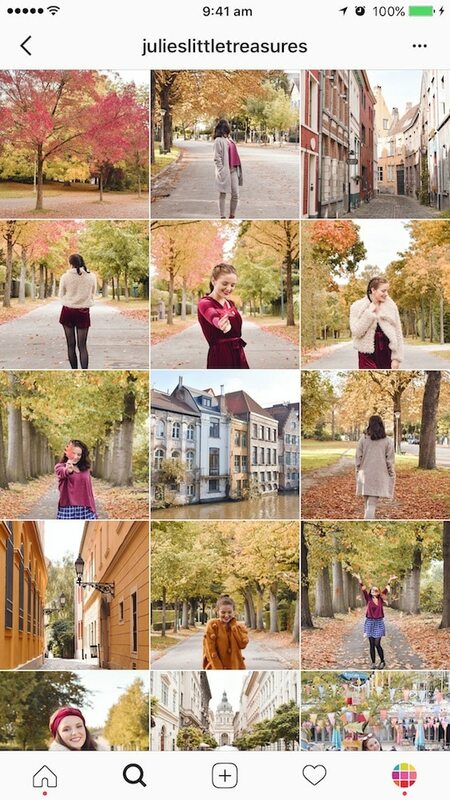 If you want the autumn effect to be strong, I recommend you use some photos with orange and brown in them from time to time. 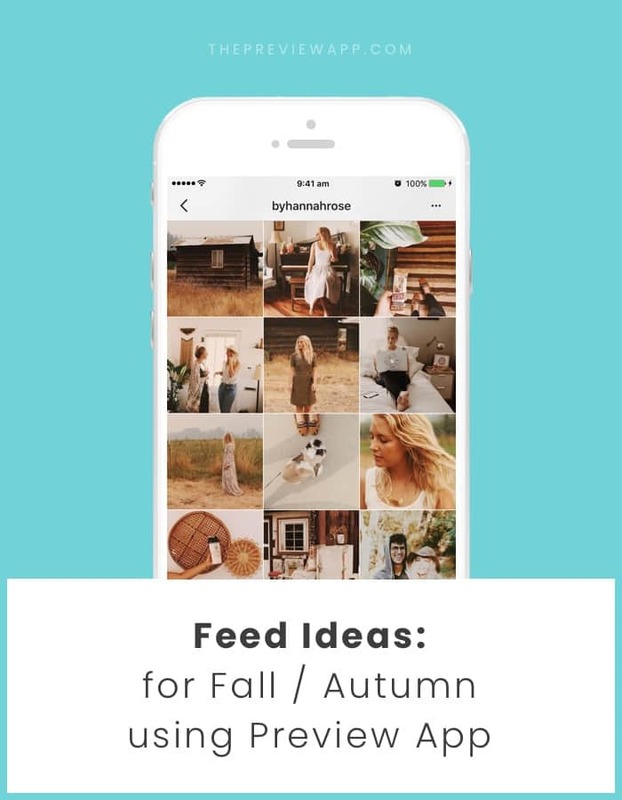 It will make your fall feed pop. 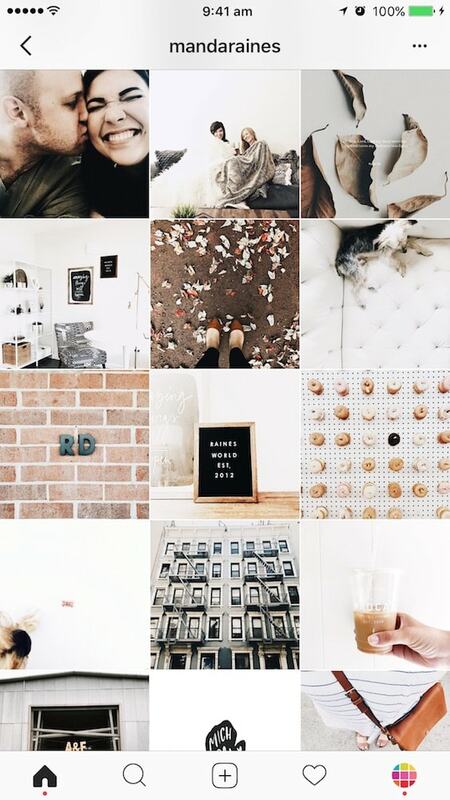 Essentially, your Instagram feed will look like a warm, cosy place. They are beautiful on any photos too and they will work really well for any season of the year. 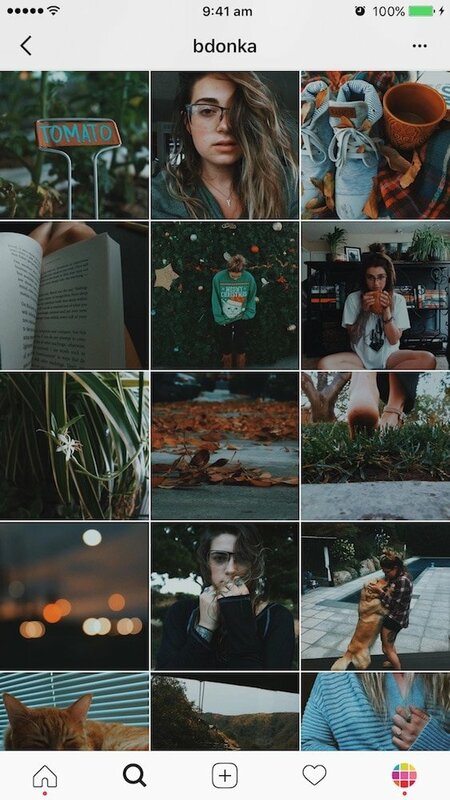 As you can see below, the girls always incorporate some orange, brown, yellow and green things in their photos to make their feed look more “autumn-y”. 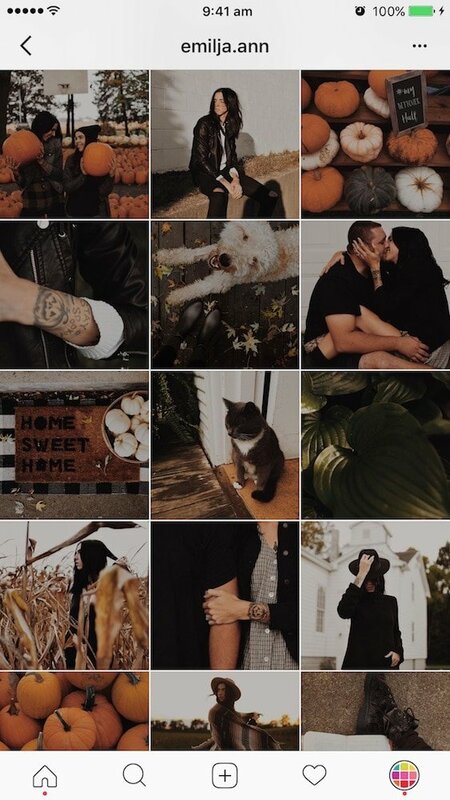 Another fall theme idea is to embrace the darker vibes. You can still use orange things in your photos to bring out some warm. 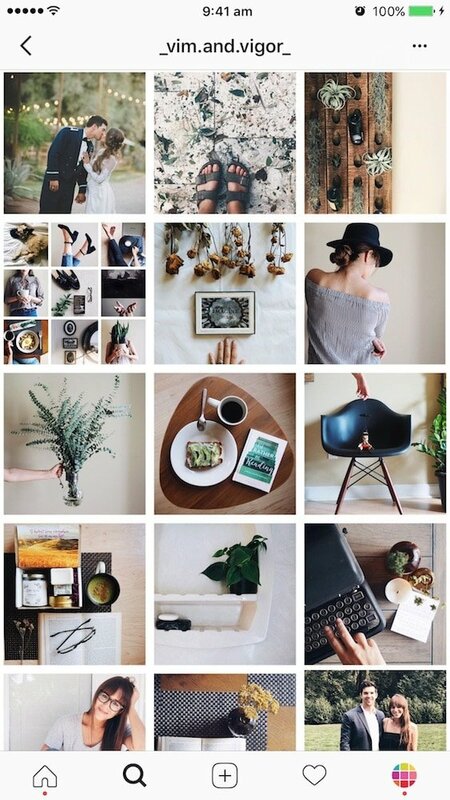 But the overall style of your feed will be dark / moody. 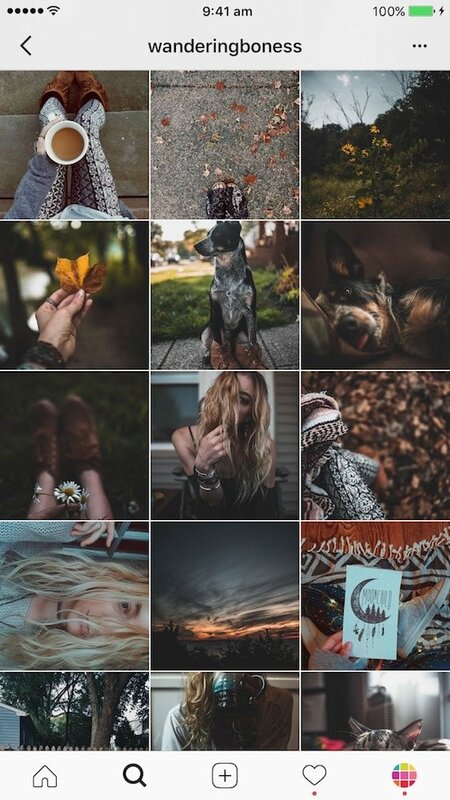 The perfect filters for this style are in the Dark and Moody filter packs. In the Moody Filter Pack, you’ll love filters H3, H5 and H6 for deep colors and warmth. In the Dark Filter Pack, you’ll love filter M1, M4 and M5 for a mix of darker tones and added warmth (M4 is the warmest of them all). Maybe you don’t want to over edit your photos. So the last theme idea is to keep it light, bright and natural. Fall is a very colorful season in itself. 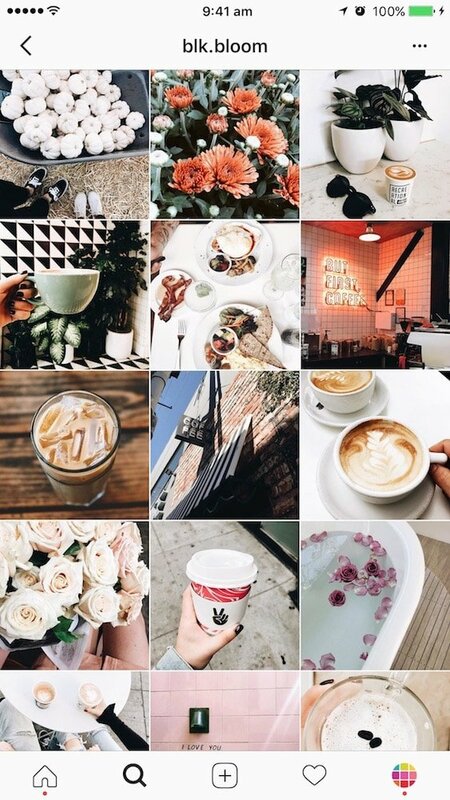 So your photos will be colorful. Some filters are perfect to simply bring out the natural colors in your photos. Other filters will just bring some warmth to your photos. The effect will be subtle but beautiful. 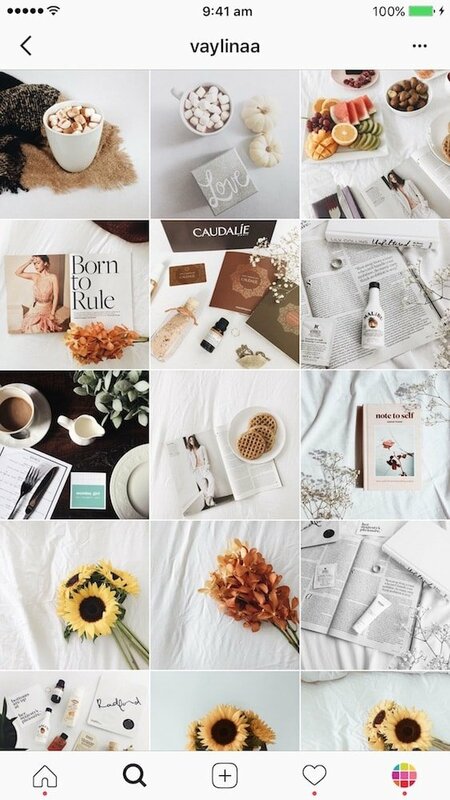 The trick with this kind of fall theme is to use a lot of white background (white bed sheets, white wall, white table). The white background will make your feed lighter. It will also make your subject pop. 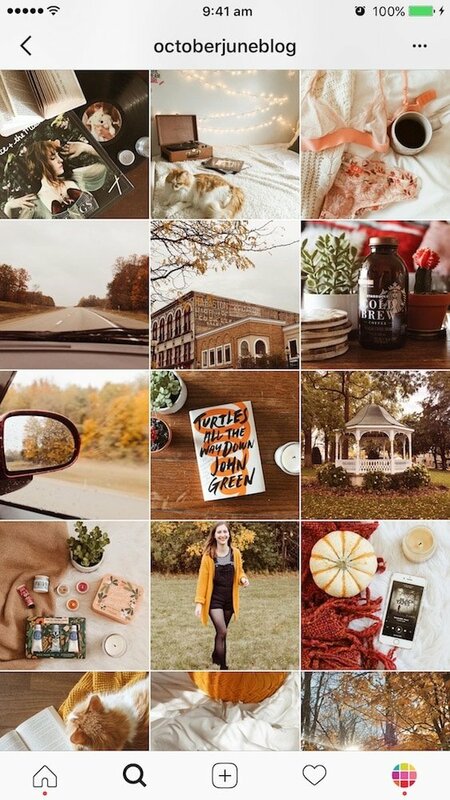 Use some orange, yellow, brown and green things in your photos to make your natural fall feed beautiful. 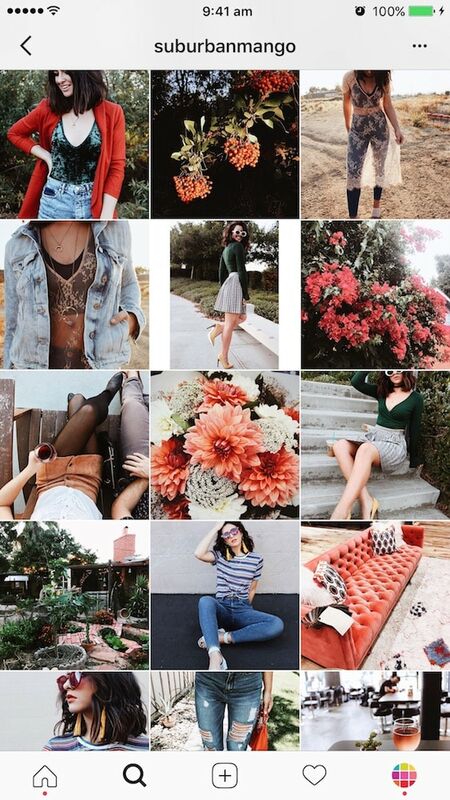 Your turn to create your fall Instagram theme! 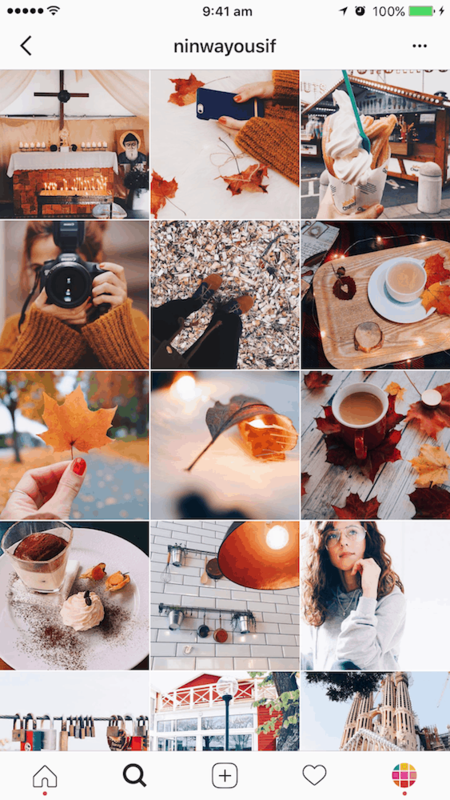 If you’re doing a fall theme, leave a comment below and tell us your username and what filter you are using! We’d love to check it out.